We are engaged in offering a large assortment of Products Promotional Table to our patrons. Available in various sizes, these are used for brand advertisement purpose. 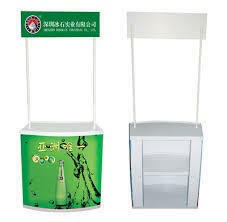 Usage: Exhibition, Advertising, Promotion etc.